Spectacular Trendmaker home right there in Creekside Tupelo! 4 bedrooms 3.5 baths and 3 car tandem garage. 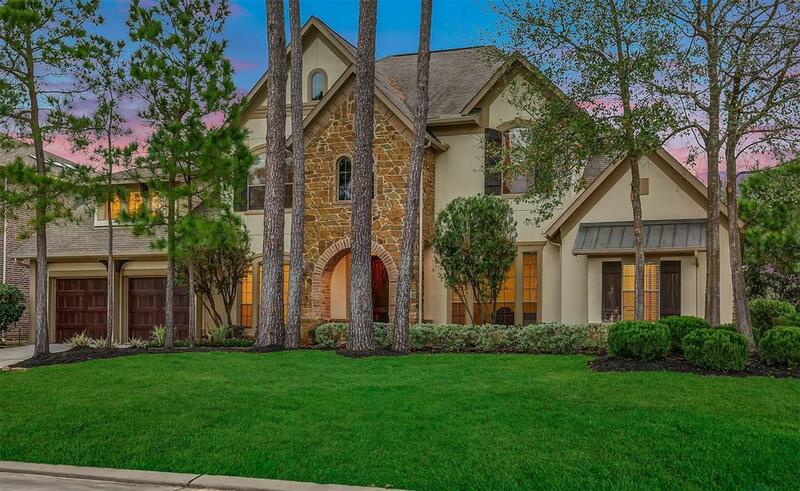 2 story with stucco elevation and lovely curb appeal. Right across from Tupelo Park, with tennis courts, walking trails, pond and lots of quiet green park space. 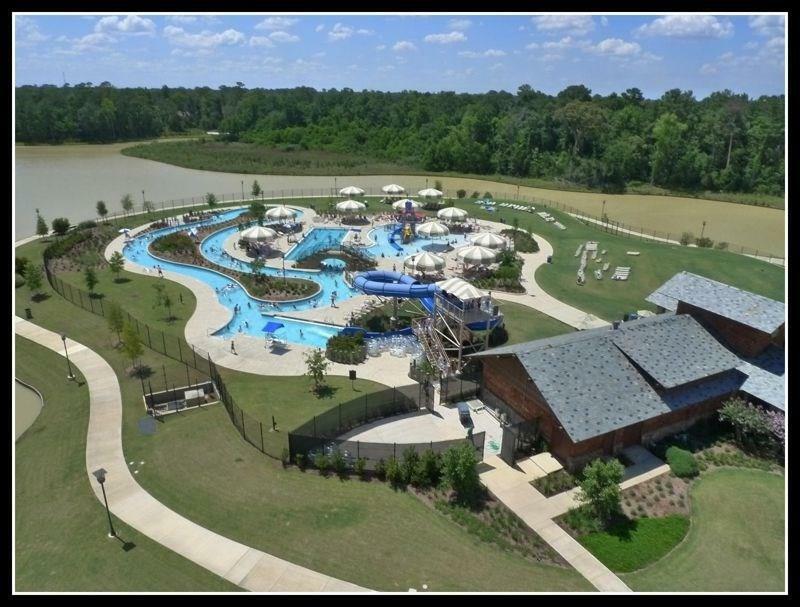 Short walk to RobFleming Aquatic center with pools, waterslides and lazy river. Wide open, bright entry with hard wood flooring and hard wood in study. Gas log fireplace in living area with stunning built-ins. Island kitchen with granite counters, slate backsplash, stainless appliances and lots of cabinets that opens to living area. Wrought iron stair case leading up to media room and huge, oversized gameroom. Large utility room in the house. 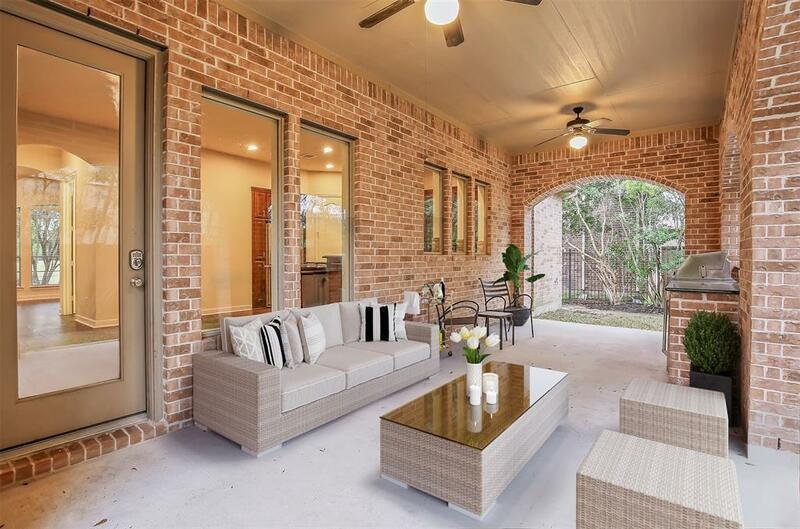 Relax out on the covered patio in the backyard and enjoy family time cooking in the outdoor/ summer kitchen. 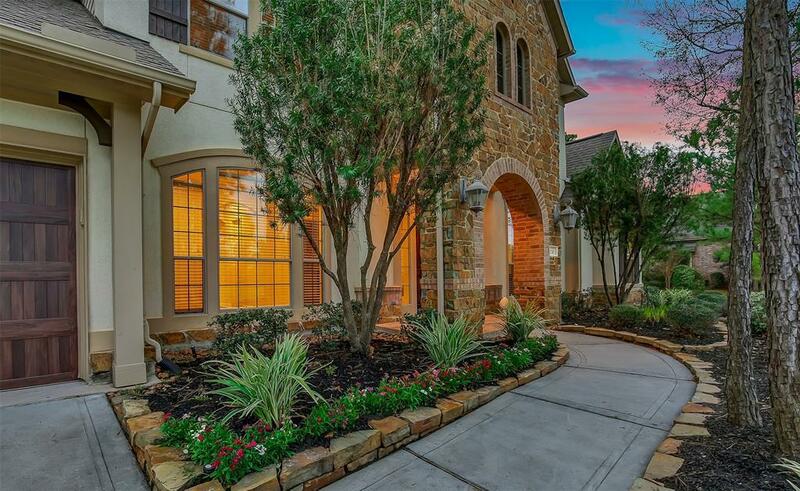 Walking distance to Creekside Park Village Green, with restaurants, French coffee house and bakery, yoga cycling and HEB shopping. Excellent location and excellent home!